10+ Symptoms of Chronic Fatigue Syndrome: Is Your Fatigue Actually a Disease? A huge number of people visit the doctor for help with their fatigue. It's imperative to find out if your tiredness is actually chronic fatigue syndrome. In order to be diagnosed with chronic fatigue syndrome, a patient must satisfy two criteria. Fatigue- If you have been feeling much more tired and worn out than usual, and have a lower capacity for physical or mental work than you usually do, you have fatigue. Fatigue is a normal, protective mechanism in healthy individuals. It is usually linked to a single cause, and is often relieved by rest or lifestyle changes (such as diet, exercise, stress management). Chronic Fatigue- Although there is no agreed-upon definition of chronic fatigue, it is sometimes deﬁned as severe fatigue of at least 6 months’ duration which is not helped by rest and interferes with relationships, work, or other activities. Chronic fatigue is abnormal and disrupts healthy physical and mental function. impaired. [2,3] In other words, both chronic fatigue and CFS can be debilitating and with either of them you may experience significant overall levels of “sickness” and impairment. 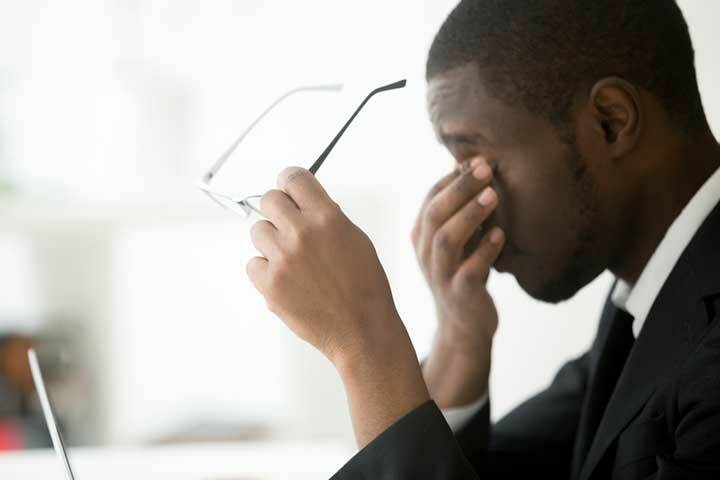 Chronic Fatigue Syndrome Symptoms- CFS is characterized by unexplained fatigue that lasts for at least 6 months accompanied by symptoms including headaches, unrefreshing sleep, muscle pain and difficulties with brain functions such as memory and concentration. To discover if you have Chronic Fatigue Syndrome symptoms, print out this article and circle the descriptions below that apply to you. Take this list to a qualified integrative physician to sort through the various fatigue causes and develop a chronic fatigue syndrome treatment plan to help you regain your health and vitality. Nijrolder I, van der Windt D, et al. Diagnoses during follow-up of patients presenting with fatigue in primary care. CMAJ. 2009 Nov10;181(10):683-7. Darbishire L, Ridsdale L, Seed PT. Distinguishing patients with chronic fatigue from those with chronic fatigue syndrome: a diagnostic study in UK primary care. Br J Gen Pract. 2003 Jun;53(491):441-5. Jones JF, Lin JM, et al. An evaluation of exclusionary medical/psychiatric conditions in the definition of chronic fatigue syndrome. BMC Med. 2009 Oct 12;7:57.
abdominal pain, allergies, anxiety, anxiety depression, brain, cfs, chest pain, chronic fatigue, chronic fatigue syndrome, chronic fatigue syndrome cfs, chronic fatigue syndrome symptoms, chronic fatigue syndrome treatment, depression, diet, digestive, endurance, excessive tiredness, exercise, fatigue causes, fatigue syndrome, flu, flu like symptoms, headaches, health, integrative, joint pain, medical conditions, memory, mood, muscle, muscle pain, night sweats, pain, recovery, severe fatigue, sleep, sore throat, stress, stress management, symptoms fatigue, tired, tiredness. I thought you might be interested in this article on https://universityhealthnews.com: 10+ Symptoms of Chronic Fatigue Syndrome: Is Your Fatigue Actually a Disease?